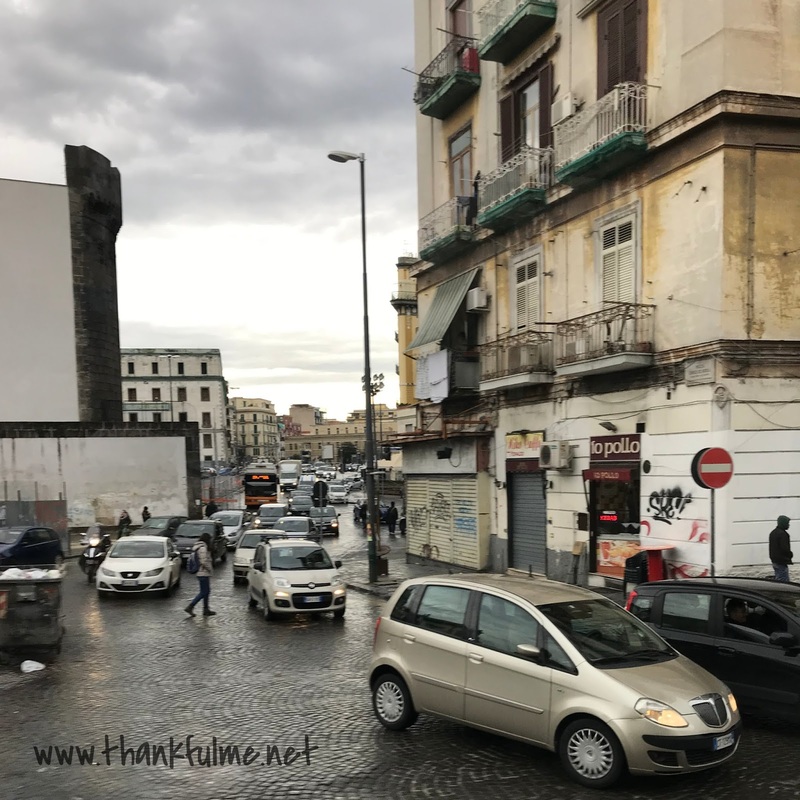 Photo: Cars travel between parked cars on a crowded Naples street. Four-story residential buildings line the street. 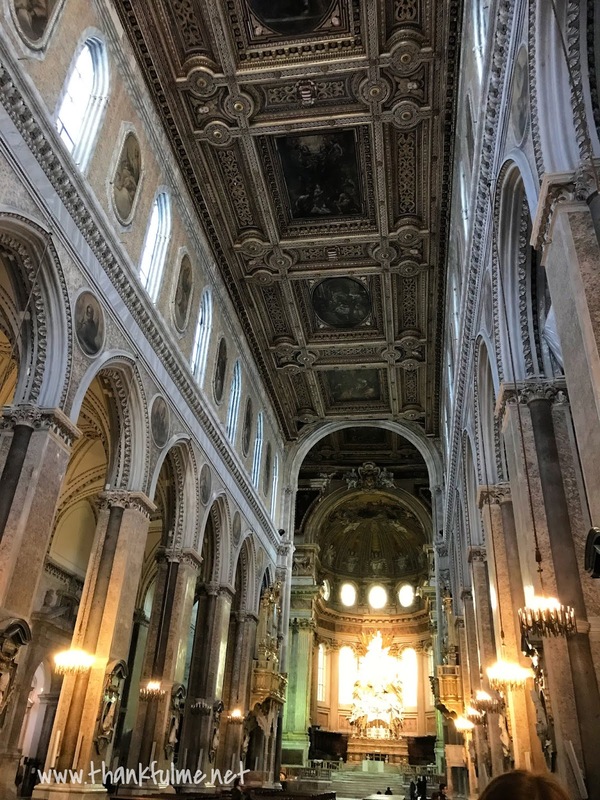 Last week, I shared my peaceful vacation day in Como with you. Today, we'll head south to Naples. Both cities are in Italy, but they are as different as night and day. Photo: A bus and a van navigate the streets, while motorcycles are parked nearby. 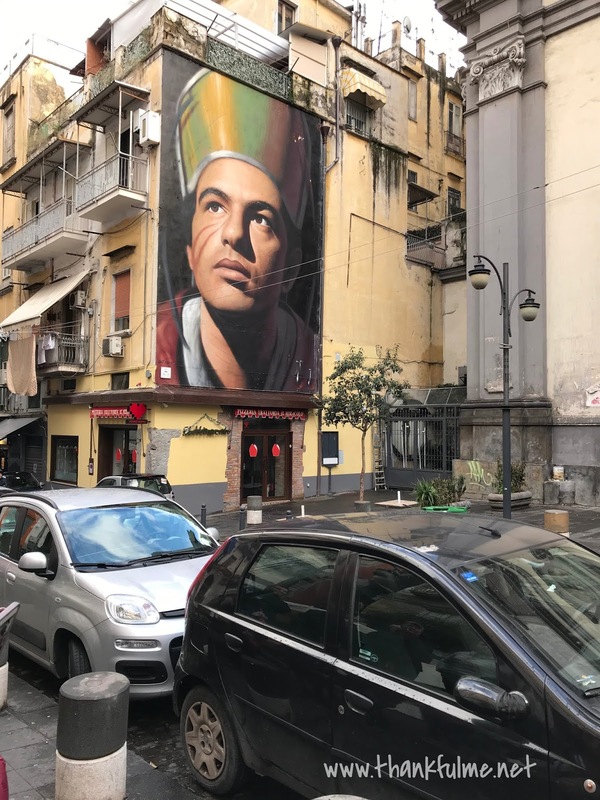 Naples has a palpable energy. 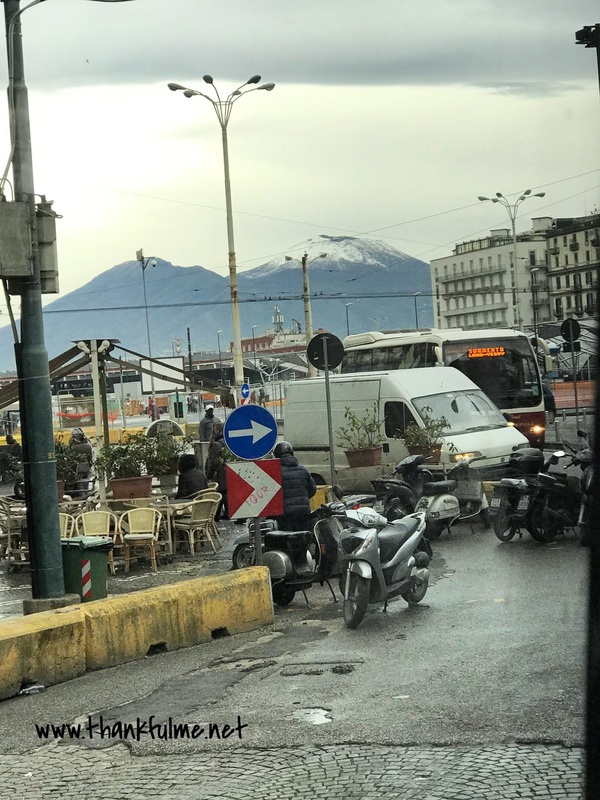 Even in the off-season of January, pedestrians, scooters, and cars fill the streets. If there is space to go, you go, regardless of your transportation method. 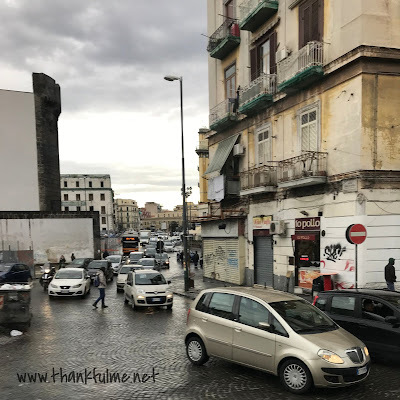 As I reviewed my photos from Naples, I realized that I didn't have any really good photos of the traffic on the narrowest streets, and any photos I had of traffic at all were taken while I was a passenger on a bus. That might be an indication of how vigilant I was as a pedestrian! 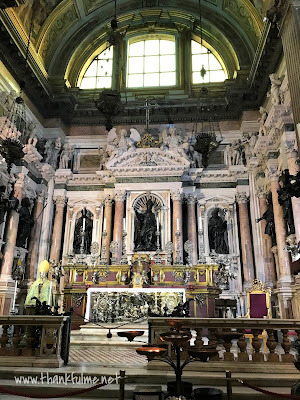 Naples is much more than just traffic, though. The pulse of the city is not so much of tourists (at least not in January), but of locals. Friends meet together to visit, shop, and dine. Small shops fill the narrow alleyways. An entire street is dedicated to stores that sell nativities, or presepe. The thing that makes the Italian presepe stand out from other nativities I have seen is that not only do they show the traditional manger scene, but also common people going about their lives. The scenes sometimes require ignoring time, as some nativities include figures from current events--politicians, sports heroes, or other celebrities. 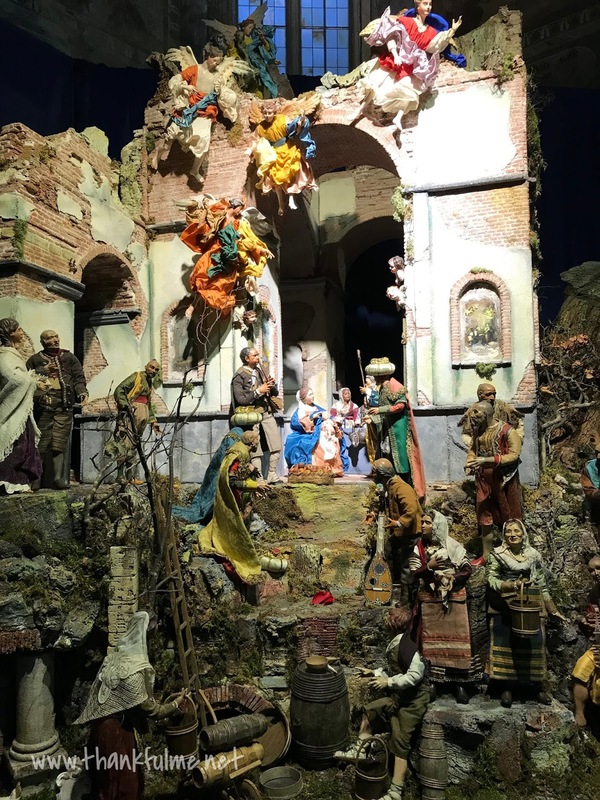 I'm not so keen on displaying figures of people from current events on my mantle at Christmastime, but I do like the more traditional examples of the presepe that are found in the churches in Naples. San Gennero is the patron saint of Naples, and the Cathedral of San Gennero, also known as the Naples Cathedral, or the Duomo di Napoli, is a ornate structure with an interesting tradition. Three times a year, two vials of San Gennero's dried blood are brought out by a Cardinal. If the blood liquefies, it means good luck for Naples; if it doesn't, it is bad fortune. 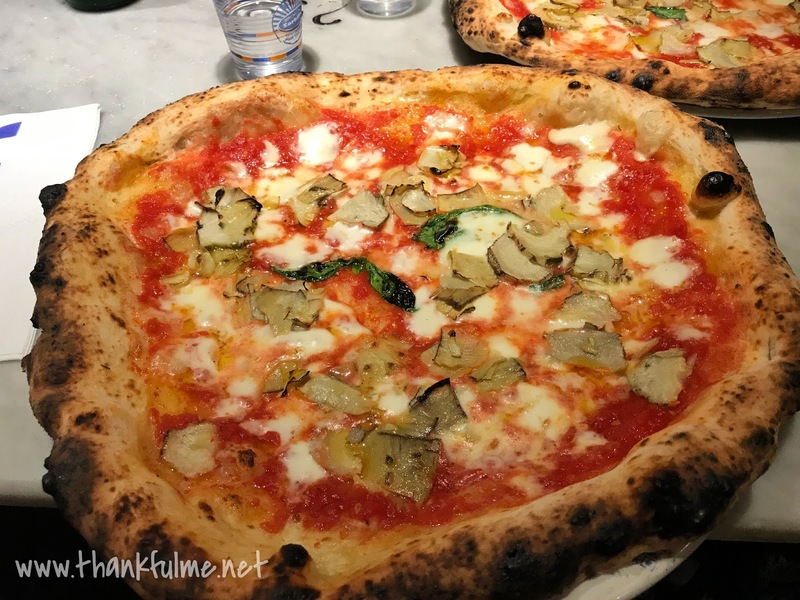 After a busy day in Naples, there's no better way to celebrate than by eating real Italian pizza while being serenaded by musicians! Buon appetito! 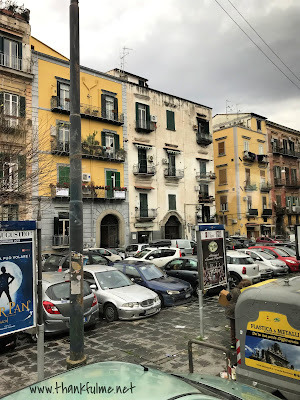 Naples is as busy as the countryside is calm. It's been so long, i most remember climbing Vesuvius and touring Pompeii. We didn't climb Vesuvius, but we did tour Pompeii and also Herculaneum. I'll post a report on those sites later. Ten Things of Thankful: It's SPRING!